Pacific Railcar Operators (PRO) is a nonprofit corporation that provides railcar excursion coordinators a safe, legal and professional environment for sponsoring excursions on North American railroads. PRO invites all motorcar operators to explore the rails in the western US and Canada. 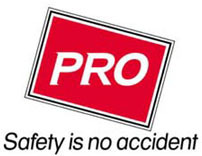 PRO is a nonprofit, incorporated affiliate of NARCOA, which hosts motorcar excursions using the NARCOA insurance program, releases, and rules. PRO excursions are primarily in the western regions of North America. Excursions comply with the NARCOA Rule Book, Operations Manual, and PRO's General Order #6 (PDF). PRO membership is not required to join our runs. Watch this site for timely excursion announcements and news. We hope you'll join our adventures on the rails.